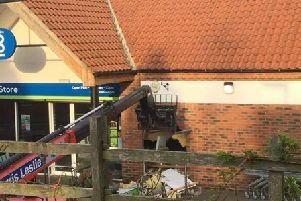 Lincolnshire Police have issued an appeal for information following a burglary in North Kelsey. The incident occured between 1pm and 5.30pm yesterday (September 17) at The Old National School, on Easthall Road, North Kelsey. Items of jewellery were stolen and £80 cash was also taken. If you have anything suspicious or out of the ordinary in the area during these times, call 101 quoting incident number 358 of September 17. You can also email force.control@lincs.pnn.police.uk quoting incident 358 of September 17 or call Crimestoppers anonymously on 0800 555 111.